is it good to fead? whole wheat bread ? i saw it in a website www.greenigsociety.org/feedingigs.htm they say its a good threat. 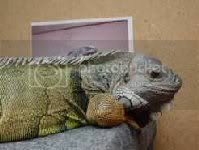 would u feed your iguana? LOL...ok...maybe I keep a little busy...but I could still make them if I really wanted to. And now that I have mentioned making them I have a taste for them. 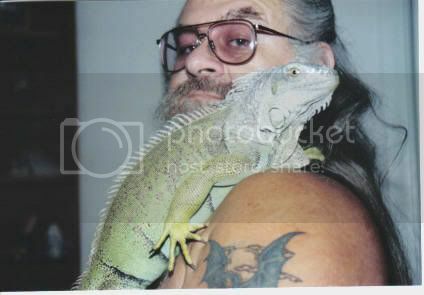 I might this next coming weekend...;-) Zair and the African gray would love 'em! Oh...hubby would, too...lol. I give Zok bread from time to time. She absolutely goes nuts for it and will follow you around the house for a peice! I don't give it too her much because it seem like for a day or too afterwards she doesn't eat her regualr food. Either the bread fills her up or the spoiled little twit is holding out hoping for more bread! Zair and the African gray would love 'em! Oh...hubby would, too...lol. Yeah! NOW we see who is at the top of the food chain!